The site situated off Bridge Road in Lymington is a 3.8ha semi-circular parcel of land on a particularly sensitive on a meander of the Lymington River. Historical land uses of the site included a former saw mill with a large mill pond which was later infilled, electricity sub stations and recently a boat works and food factory (chicken processing works). 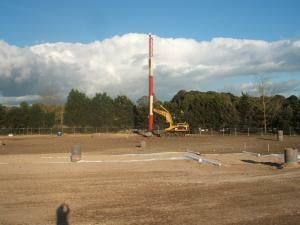 VertaseFLI undertook remediation works which were completed in 2011 and were further commissioned to undertake the land raise and ground improvement scheme in preparation for site development. Works included the initial re-grading of site levels to provide falls for site drainage, installation of settlement monitoring points, placement of 200mm thick drainage layer, import and compact engineered fill, placement of surcharge material to required levels. As part of the surcharge works and to accelerate the rate of settlement, band drains were also installed across the site. To help manage the client’s cost and programme, VertaseFLI undertook the works in two phases, allowing the surcharge material in phase 1 to be reused on phase 2, therefore saving the client substantial cost and still releasing the whole site in line with their redevelopment programme. 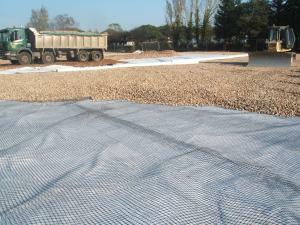 The overall works required the import of 40,000m3 engineered fill and 10,000m3 surcharge fill. Monitoring settlement characteristics encompassed using specialist equipment such as piezometers and settlement plate’s which ensured compliance with the client’s specification. In addition to this, VertaseFLI undertook extensive geotechnical testing on imported and placed material. The works undertaken at Bridge Road, Lymington demonstrated VertaseFLI's capability to undertake extensive ground improvement works.